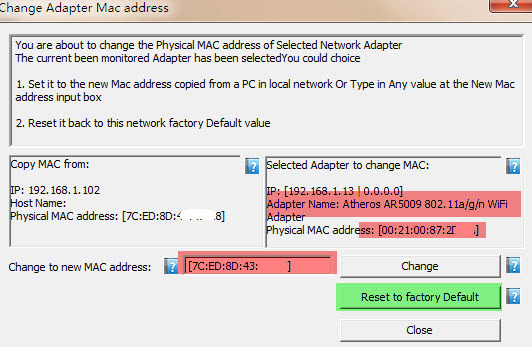 After click on this button , NetCut will remove any MAC address value created to the current selected Adapter. created by netcut or any other program. no need reboot or disable/re-enable network card.